PRIMORYE TERRITORY, RUSSIA. DECEMBER 6, 2015. 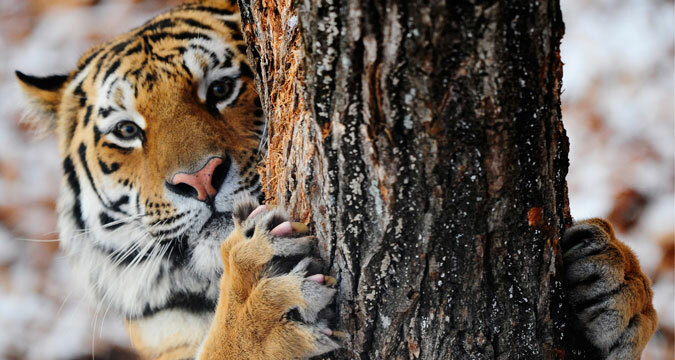 Amur, a Siberian tiger, in Safari Park in the village of Shkotovo. If you found yourself lost in the snowy Russian woods one day, would you avoid an encounter with wild beasts or would you be eaten for lunch? Test yourself and match an animal with its paw prints.